As the Republic of China celebrates its centenary, MEPs have highlighted the nation’s efforts to ameliorate cross-strait relations and its commitment to human rights, signaling that these efforts will encourage greater relations with the EU. Several MEPs are currently in Beijing for a series of meetings with senior Chinese officials. But they have taken the opportunity to lavish praise on the peace-building efforts of China's small neighbour across the Taiwan straits. Taiwan celebrates its 100th birthday this year and has attracted plaudits for its attempts to build bridges with China in recent years. The delegation includes Sir Graham Watson, former ALDE group leader, who is noted for his close relations with both China and Taiwan. Later this month, an exhibition to celebrate the 1911 revolution and celebrate the founding of Taiwan will be held in parliament in Strasbourg. In a letter to the Taiwanese president Ma Ying-jeou, the deputies write, "As MEPs we wish to express our sincere congratulations and best wishes to the people of Taiwan on the occasion of the 100th anniversary of the Republic of China. "100 years ago the Republic of China was created in the midst of conflict and upheaval. A century later, the people of Taiwan are celebrating this landmark anniversary in a spirit of peace and optimism. "More importantly, Taiwan is today a vibrant democracy, firmly committed to the rule of law and human rights. Our common values are a strong platform for deepening the EU-Taiwan relationship in the coming years. "Nothing is more important for the EU than the maintenance of peace and stability, both in Europe and globally. Similarly, under your leadership peace and stability have become your country's guiding principles. "Your efforts to improve cross-Straits relations through a series of practical agreements with mainland China – culminating in the Economic Cooperation Framework Agreement – have replaced the fear of tension and conflict with the hope of peace and understanding." The letter to Ma says that "as friends of Taiwan in parliament we remain committed to supporting your country's development, in particular with regard to its role in the international community". It points out that last May 2011 parliament passed a resolution supporting EU-Taiwan economic relations and calling for the European commission and member states to press ahead with negotiations leading to a free-trade agreement with Taiwan. "The same resolution reiterated parliament's support for Taiwan's meaningful participation in international organisations, including the International Civil Aviation Organisation, the World Health Organisation and the United Nations Framework Convention on Climate Change," it says. 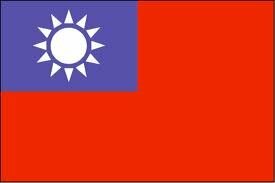 It adds, "On this auspicious occasion of the 100th anniversary of the Republic of China we wish to send our heartfelt congratulations to the people of Taiwan and to express our belief that notwithstanding the achievements of the past century, the best days of the Republic of China (Taiwan) lie ahead. Speaking separately, president Ma said that peace in the Taiwan Strait is "critical to Taiwan's prosperity and security" but ruled out the possible reunification with China. In a speech, he said, "Our basic principle in handling cross-strait relations at the current state is "no unification, no independence and no use of force". "No unification" means that no negotiations will be held with mainland China on the issue of cross-strait unification during my tenure as president. "No independence" means that we will not seek independence, and are opposed to de jure independence. By "no use of force" we mean that we oppose any use of military force in the Taiwan Strait to resolve cross-strait disputes." He added, "Over the past three years, this principle has effectively ensured peace and stability across the strait, winning widespread support among the people of Taiwan and a high degree of affirmation from the global community. "However, if the "no unification, no independence and no use of force" policy and the 1992 consensus are overturned, a state of uncertainty will prevail in cross-strait relations, which will have a major impact on both sides, especially Taiwan. "We know that cross-strait peace has just taken its first steps. The foundation of mutual trust remains fragile and still requires a long-term effort by the two sides to solidify. "At the same time, upholding peace requires more than wishful thinking; we must maintain a potent national defence capability and acquire the needed defensive armaments. These are the necessary means for preserving might and furthering peace. "More than three years of experience indicates that cross-strait tensions have been effectively reduced and the foundation of long-lasting peace has been built."